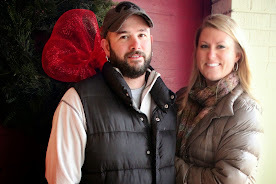 The Sustainable Couple: A subscription box with a heart: GlobeIn rocks my socks. A subscription box with a heart: GlobeIn rocks my socks. I have been toying with the idea of a monthly subscription box for a while, but haven't pulled the trigger. You know what I'm talking about, right? Those subscription services that will send food, clothing, make up, dog treats, and more to your doorstep for a small monthly fee? Yep. That's what I am referring to. My friend Jeni at JeniEats.com shared her thoughts a while back on her subscriptions to Ipsy, Naturebox and Graze. While I enjoyed reading her posts, none of these tickled my fancy, if you will. I almost decided to have a virtual personal stylist pick out my wardrobe on StitchFix, but couldn't justify sending that much money into cyberspace and not know if the clothes would fit my string-bean legs and wide shoulders. 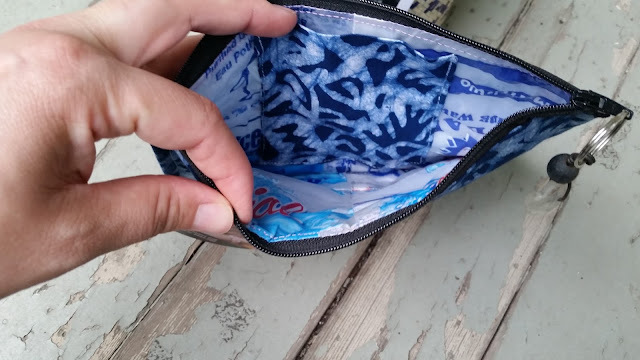 We're also very conscious about where we spend our money. I'm sure you are, too. 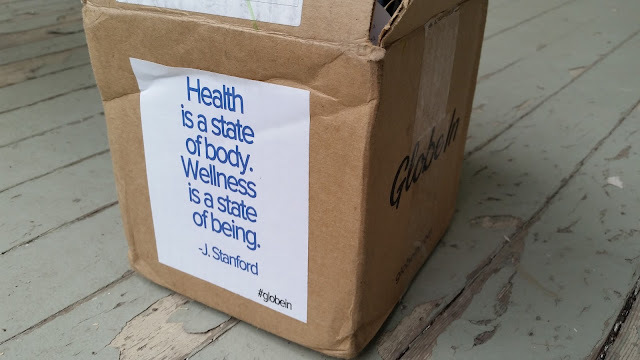 That's why I am all jacked up about GlobeIn, and their monthly artisan box. Liza from GlobeIn asked if I had tried a monthly box delivery before, and if I'd like to receive the Wellness Box. After doing some research on GlobeIn and their mission, I went all in. "GlobeIn’s mission is to build a more positive world. We bring you delightful, useful products that have an impactful social mission behind them. We help you live a better lifestyle by experiencing these products. We believe you feel better when you consume better. Whether it’s putting better foods into your body, buying an item for your home from an indigenous weaver or simply knowing where your stuff comes from, your purchases should leave you fulfilled and happy." 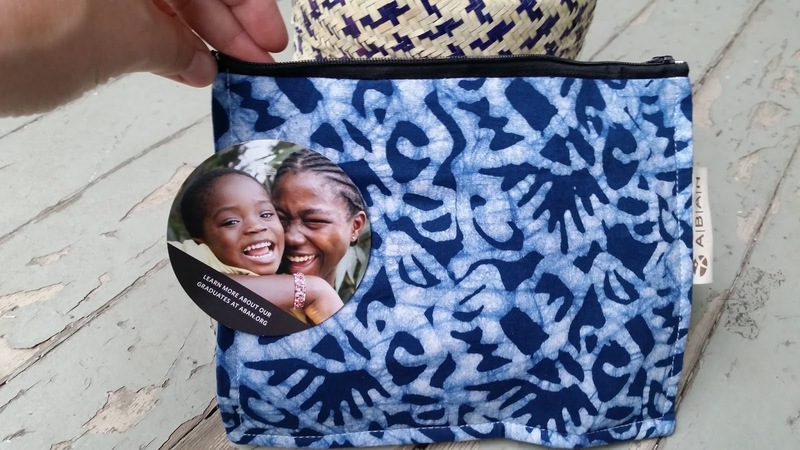 A Blessing Bag, handmade from recycled materials in Ghana. This baby is going right into my teacher bag, guys. 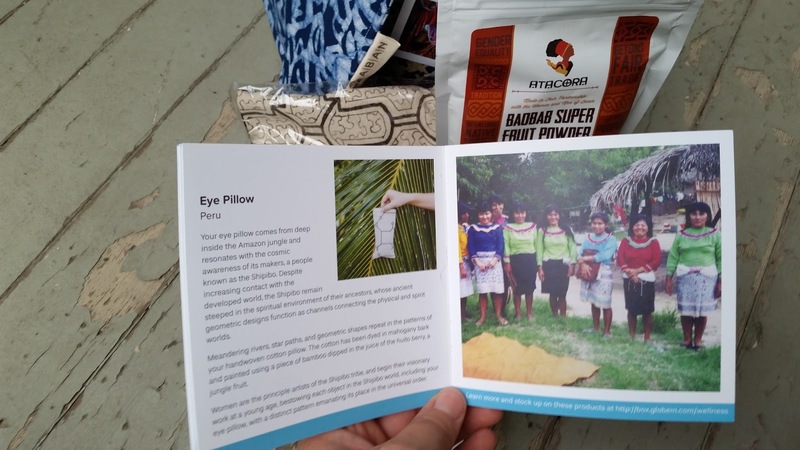 A lavender scented Eye Pillow made from the Shipibo tribe in Peru. By the way, there's a little booklet in each Artisan Box that has details about every item and the people who made it. 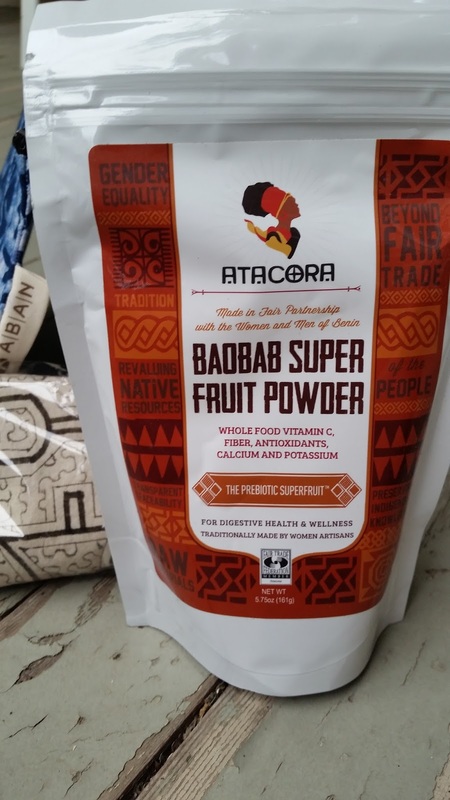 The Wellness Box also contains Baobab Powder from Benin, Africa (which I will use in my morning smoothies!). 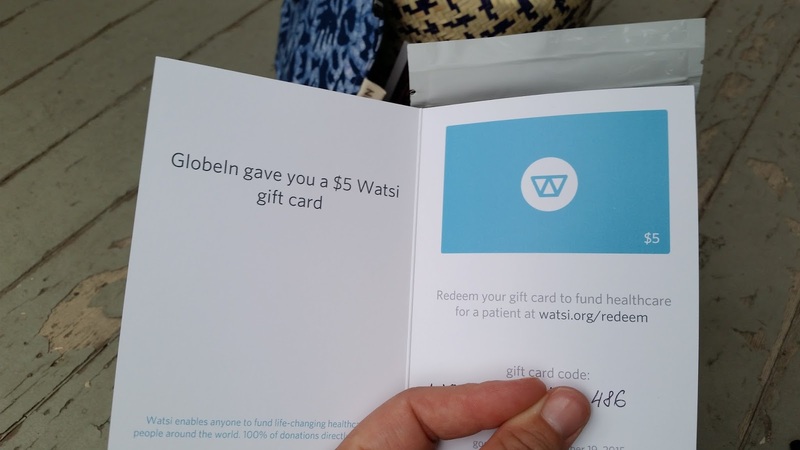 And a $5 giftcard (from GlobeIn) to use to find healthcare for a patient that I selected (a 15-year-old Kenyan boy named Francis who broke his legs, and needs surgery). I also received a coupon code to give to y'all (in addition to the code at the end of this post). "GlobeIn does the work for you. We seek out beautiful, well-­made products and trace their origin to ensure that they are doing social good and we share that knowledge with you. 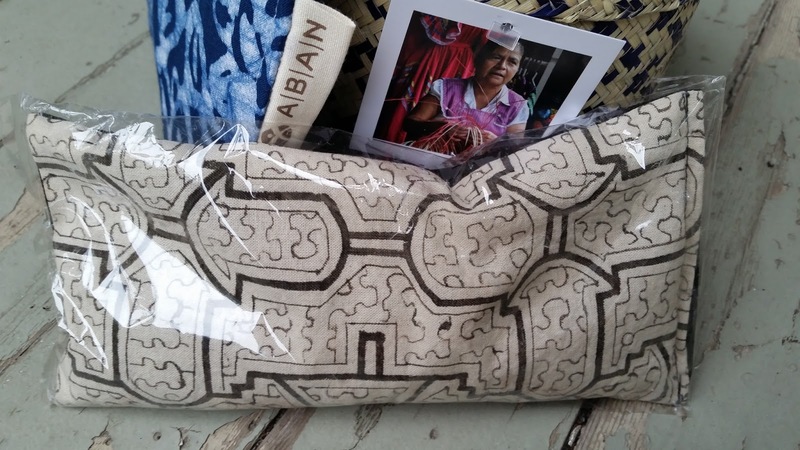 GlobeIn is dedicated to supporting artisans and farmers from all walks of life with an emphasis on people in the developing world. GlobeIn is dedicated to reducing poverty by giving these individuals, and subsequently their communities, a global audience." No, I can't recommend that you get cosmetics or tribal patterned tunics delivered to your door each month. 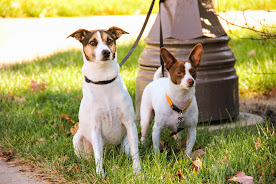 And hell, I love Manny and Bruce, but I'd rather make their dog treats. I can, however, recommend the GlobeIn Artisan Box. I can't wait to get more worldly treasures that allow me to try something new, while fulfilling a compassionate mission. 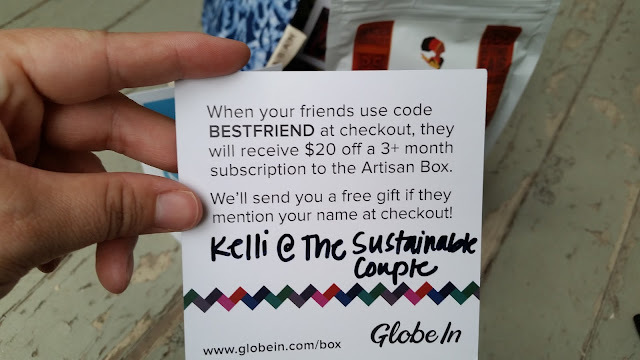 The GlobeIn Artisan Box​is a monthly subscription box. Each month, GlobeIn delivers “the globe in a box” ­- a themed collection of artisan ­made products from around the world. 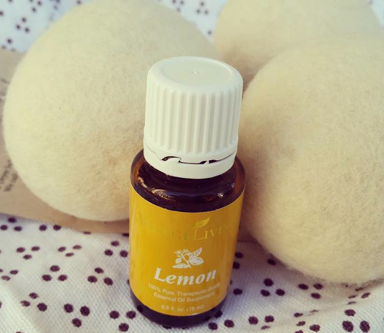 They are often organic, fair ­trade, and support artisans and farmers from around the world. 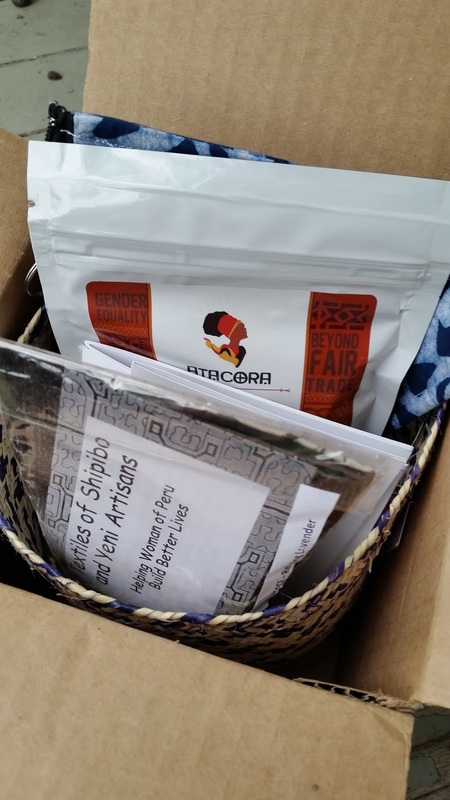 Each box also includes stories on the country of origin of each product as well as the stories of the artisans and farmers. 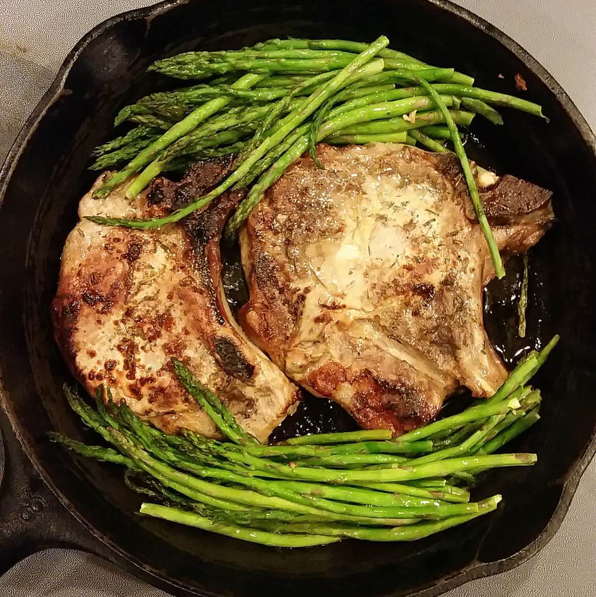 The Artisan Box is as low as $30 a month for a six ­month subscription. It’s $35 dollars for a month­-by-­month subscription. Shipping is free in the United States, $12 to Canada and $15 internationally. with the purchase of 3- and 6-month subscriptions. They are fun to try! I am going to keep this box, and hope to try a couple similar ones. There are SO MANY to choose from. This is so awesome! Love that they tell you all about where it's from. 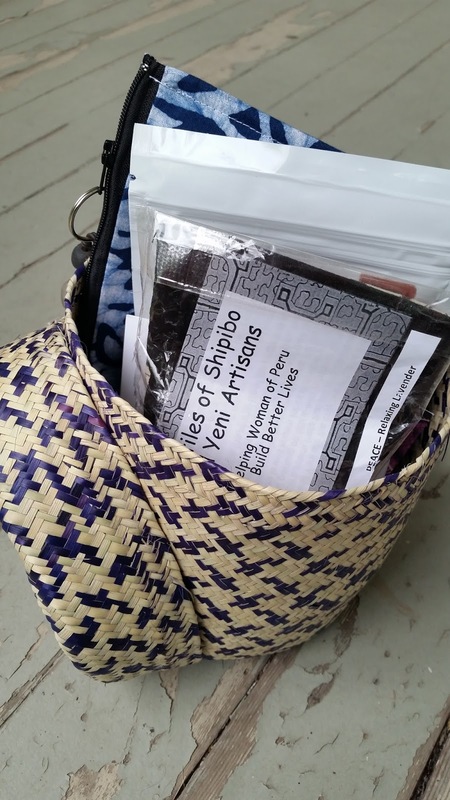 That was one of my favorite parts - sitting on the porch, digging through the box and reading about each person and region. Oh, and when you read the descriptions of the artisans, you'll feel even better about subscribing!